Click Here! to refer the catalog and enter the manufacturer name and implant system name you wish to purchase in the below form. PLEASE NOTE If you do not see you Implant Manufacturer, please call as website list might not be updated. The Penguin RFA allows the practitioner an easy, accurate and affordable solution to Implant Stability Quotient (ISQ) implant stability measurement. 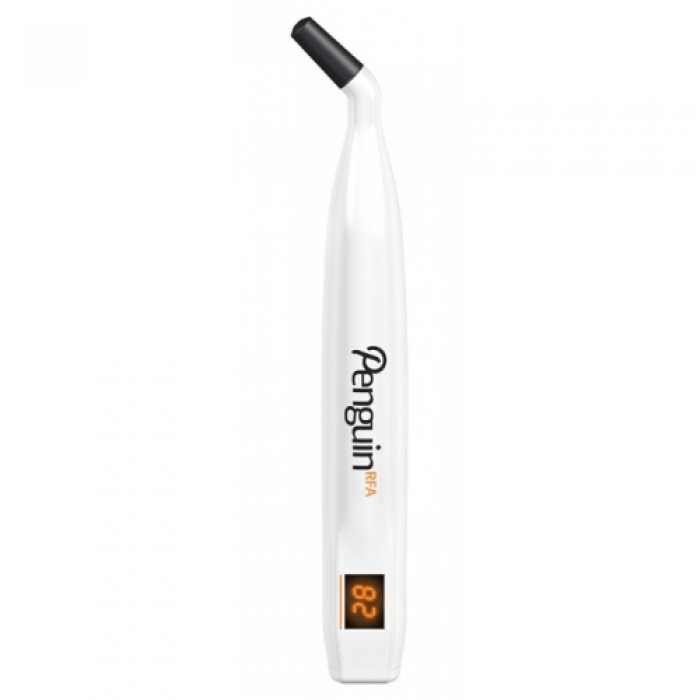 With the Penguin, you can easily monitor osseointegration of your dental implants and eliminate any doubt. Whether you are checking the ISQ of an implant at immediate placement following an atraumatic extraction or before definitive restoration impressions, the Penguin RFA is the predictable and accurate choice to give you comfort your implant is stable and ready to load. Today’s implant dentistry trend is to use short, or no, healing periods before loading, so it is imperative to ensure proper stability to reduce the risk of failure and have confidence the implant is ready for loading. The Penguin uses multi-use autoclaveable Multipegs that are calibrated to each individual implant brand and system. Resonance Frequency Analysis (RFA) was introduced to implant dentistry more than 20 years ago, where a peg attached to an implant causes vibration frequency that is picked up by a device and presented as an ISQ. The measurement scale is from 1 to 99 ISQ, which correlates strongly to the micro mobility of the implant that is dependent on bone quality and osseointegration. A baseline value can be taken at placement and another before loading to determine the degree/measurement of osseointegration. The Penguin RFA is cordless, light-weight, and very user friendly. It is also cost-effective as the Multipegs (i.e., transducers) are fully autoclaveable for multi-use and calibrated. The Multipeg type will be determined based on your implant brand and system at an additional cost of $32. Please make sure you select the correct implant brand and system so we can ensure you get the correct multipeg for your implants. **If you do not see your implant brand and or system, please contact us to determine availability as the list is constantly changing and being added to. The Penguin RFA has a 2-year warranty.